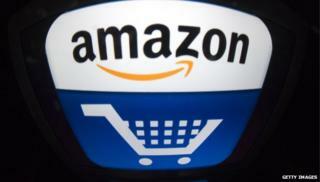 Internet retailing giant Amazon and book publisher Hachette announced they have resolved a bitter dispute over print and e-book pricing. The two have been feuding for several months over a new contract, leading Amazon to delay the shipment of several high-profile Hachette titles. Neither firm announced the terms of the new multi-year contract. "This is great news for writers," said Hachette chief executive Michael Pietsch in a statement. "The new agreement will benefit Hachette authors for years to come. "It gives Hachette enormous marketing capability with one of our most important bookselling partners." According to reports, Amazon had been seeking a larger proportion of the revenue generated from the sale of Hachette's e-books, while also attempting to lower the price of those books. Hachette, the US's fourth-largest book publisher, said that would be unsustainable. The dispute emerged earlier this year, when Amazon delayed the shipment of several prominent Hachette titles, including books by Malcolm Gladwell. A few weeks ago, Amazon announced it had signed an agreement with major publisher Simon & Schuster over the pricing of e-books. Most observers believe that the deal with Hachette is very similar to that one.